Inductees into the Ilfelin Gray Legion, an elite elven military order, were required to pass through brutal training before they earned one of the notorious gray cloaks of their company. 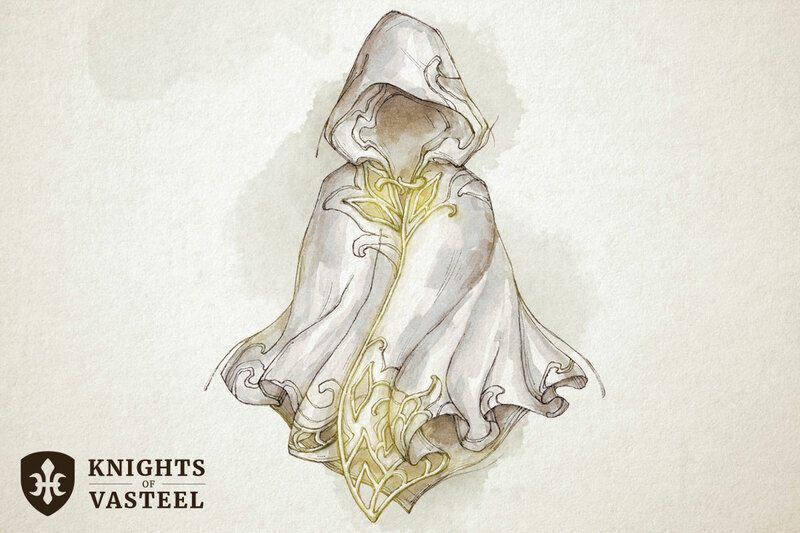 The cloaks–while magical–acted as a symbol to warn of their dangerous ability. After the fall of Ilfelin, the few remaining masters of the Gray Legion melted into the shadows. They spread across the kingdom and continued to train and teach students their ways. Even though the Gray Legion is just a memory of what it once was, their gray silken cloaks instill the same fear as in they did in their days of glory. While you wear this cloak, Wisdom (Perception) checks made to see you have disadvantage and you have advantage on Dexterity (Stealth) checks made to hide. Additionally, You have advantage on Charisma (Intimidation) checks. Once per day after making a successful Intimidation check against a creature, you may cause that creature to become frightened of you for 1d4 minutes.